The Jewish Community Council of Victoria (JCCV) has made a significant step towards equality by publicly acknowledging for the first time “it’s okay to be gay”. 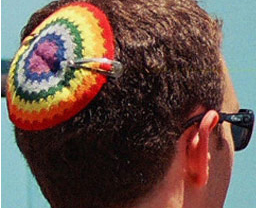 Following the JCCV’s release of a statement in support of the No To Homophobia campaign, co-convener of LGBTI Jewish organisation Aleph Melbourne Michael Barnett criticised the JCCV’s failure to publicly affirm gay people in society. A follow up statement confirmed the organisation’s position. “The JCCV joined the No To Homophobia campaign because members of the GLBTI community experience harassment and abuse. This is not ok,” it stated. Barnett praised the response, saying it is particularly significant given a majority of the JCCV’s constituent organisations are from the conservative, often anti-gay Orthodox Jewish community. Barnett called on the JCCV to take further steps in support of the LGBTI community, by working with Jewish organisations like Aleph on strategies to address high rates of suicide, mental health issues and self-harm amongst young LGBTI people. “A good way to do get this message out to the community is to make it a condition of JCCV membership that affiliate organisations implement such strategies in their organisations,” Barnett said. Note: the background to this story can be found here. This entry was posted in GLBTIQ, Jewish, Youth and tagged Aleph Melbourne, Gay, GLBTIQ, Homosexuality, JCCV, Michael Barnett, No To Homophobia. Bookmark the permalink.